Earth Day has been extra special for me for the last 17 years… it’s my wedding anniversary! And, I married an Environmental Engineer – yes, you read correctly! When I saw April 22nd available as a Saturday wedding date back in 1995, I just knew it would be special for years to come. But even before then I was an environmental nut. Our friends and family can attest to how many of them I have FORCED to get recycle bins for their homes. They’ll also tell you how many parties I’ve left with bags full of recycling they wouldn’t collect. Since my twins were about 3, I had them separating ‘bottles and paper’ into different trash cans. Try NOT recycling in front of them now that they’re 10 and see the reaction! These days the lessons are about more than recycling, it’s about making responsible earth conscience decisions. We try walking as much as we can to the grocery store to pick up small items. We have worked on reducing our water consumption – a difficult lesson to grasp for tweens who love their bath time. I go everywhere with my reusable cloth bags and you can hear the phrase “turn off the lights” nightly in our home. I must say that the message is getting heard more loudly than ever across our Latino and multicultural communities as well. In their later years, my Abuelos started recycling, separating trash and saving the newspaper to share with others so it wouldn’t be wasted. But I believe we still have so much to learn and do. 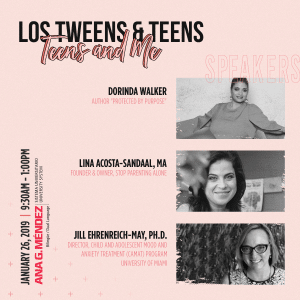 Our mission at Los Tweens & Teens is helping our chicos prepare for the Teen years and to do so, we suggest nosotros, los padres, the Parents- get involved. SHOW THEM why making responsible choices matter. Ayudalos entender! Help them understand that every little effort helps. Here are some of our young Latina Tween bloggers sharing what they’ve been doing to help the earth and asking other kids- what are YOU doing this Earth Day and beyond? 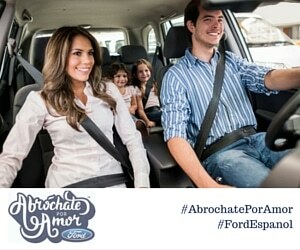 We invite you and your chicos to share your ideas and actions. Together we can continue improving our world- Juntos podemos seguir mejorando nuestro mundo. This entry was posted in Raising Tweens and tagged April, conservation, Earth, Earth Day, energy, Family, kids, Parenting, recycle, recycling, Tweens. Bookmark the permalink.